Another $120,000 in guaranteed money was on the line during Day 8 of 888poker’s online winter series, XL Blizzard. It was the day of the “Quarterback”, three tournaments that allow players that have busted out to buy 25% of their starting stack back for 25% of the buy-in. With the $1,000,000 Main Event right around the corner, running this Sunday, players have been flocking to the prelims to gain some momentum. Additionally, today was another chance to accumulate XL Blizzard Leaderboard points helping players hopes to play in the Champion of Champions tournament and have a shot at the $12,000 World Series of Poker Main Event package. Headlining the day’s events was the $80,000 Quarterback. The event drew 343 runners (and 318 rebuys) to generate a prize pool of $84,500. The tournament lasted just over eight hours and in the end, ‘sayqmyqname’ became the first player from Kuwait to become an XL Blizzard champion. He defeated Brazil’s ‘andrebos’ heads-up to take home $16,350.75, while the Brazilian claimed the only other five-figure score of the day receiving $12,252.50 for second place. A pair of dominant PocketFivers were seated at the final table as well. Sweden’s ‘eijseijs’ (aka ‘DeathbyQuads’) finished up in fifth place for $4,815.50. The Swede is currently ranked #23 in the world and is rapidly approaching $4 million in lifetime earnings. Joining him, bowing out in ninth place, was former ranked #1 ranked Joao ’Ineedmassari’ Simao. The partypoker ambassador is currently ranked #16 in the world and he cashed for $1,478.75 here on 888poker. Additionally, it was a second XL Blizzard final table for Jans ’Graftekkel’ Arenda, who won Event #1 for over $17,000. In this one, he took sixth for $3718. Also, PocketFiver ‘jxw311’ from the UK finished in eighth for $2,028. He last recorded cash was back in November of 2017 when he won the 888poker $60,000 Challenge for over $10,000. This is a great result for him as he only had three recorded cashes in all of 2017. Other notable finishes included: 888poker ambassador Chris ‘888Moorman’ Moorman (15th), ‘yarik1903’ (16th), Worldwide #1 ranked ‘Isildur1337x’ (aka ‘C Darwin2’ – 36th) and Worldwide #5 ranked Andreas ‘r4ndomr4gs’ Berggren (43rd). It was an interesting end in the $44 $20,000 Mini Quarterback as four of the original 680 runners decided to make a deal to split the lion share of the $31,460 prize pool. The official winner ended up being ‘bujalabujala’ who settled for $3,495.64 in the deal. The rest of the four finalists were PocketFivers including runner-up ‘Mastelzmind’, from the Netherlands, who banked the most money in the deal at $4,517.22. Latvia’s ‘eatyastack’ finished in third for $3,460 and ‘LeonBY’ from Belarus also received a sum exceeded his finishing place, taking home $4,178.45 in the agreement. The late tournament also attracted a slew of notable names in the 223 runner field that helped push the prize pool to exceed the guarantee by $5,825. A healthy dose of PocketFivers battled it out at the final table with some of the best in the world jockeying for position. Finishing in first, however, was Russia’s ‘petrofv5501’ who earned $5,281.21 for beating Switzerland’s ‘77DASH’ in heads-up play. ‘77DASH’ cashed for $3,873.75 for his runner-up showing, adding to his just over $600,000 in lifetime earnings. Fabrizio ‘DrMiKee’ Gonzalez (aka ‘SixthSenSe19’) added another $2,918.22 to his resume of cashes. The worldwide #12 ranked player can use this finish to ease the pain of being the bubble boy in the $200,000 Whale earlier this week. Steve ‘NoMamesWey23’ McNally, playing out of Mexico, is a top 300 ranked player and will use his fifth-place finish for $1,497.85 to help in his efforts to eclipse $6 million in lifetime earnings in 2018. Ukraine’s ‘yarik1903’ found himself at another final table. He bowed out in sixth for $1,162.12 for his second cash of the day and he adds both of those results to his XL Blizzard championship run when he finished in first in Event #14 for over $9,000. 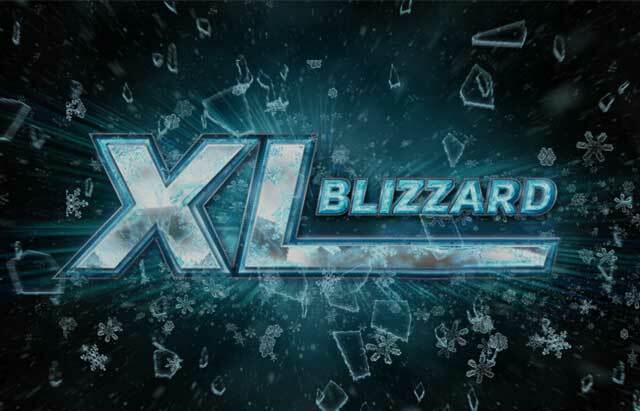 ‘yarik1903’ currently sits in seventh place on the XL Blizzard Leaderboard. Finally, Sweden’s ‘Kzzon’ may use his eighth-place finish for $645.62 to edge him closer to the Worldwide top 100, he currently sits ranked #109. Canada’s ‘alexos888’ rounded out the final table taking home $490.67 for ninth place.